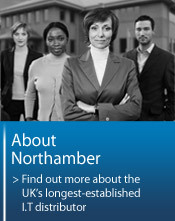 Northamber's Total Services Division delivers a wide spectrum of professional services across the UK. These services add a new dimension to our portfolio, by providing an all-round value-add total solution. 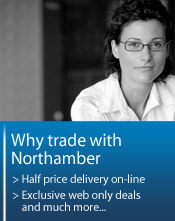 For more than 10 years, Northamber Total Services has delivered high quality network infrastructure projects. This ranges from desktop deployments and roll outs, server installation and virtualisation projects. Our engineers provide national coverage with strategic hubs all over the UK. Download our Configuration Centre brochure to find out more about our comprehensive range of Configuration, Logistics and Deployment services. For mission critical hardware like a server, it’s essential to get the installation right, Northamber provides fully accredited engineers to manage delivery of end to end solutions. Hardware is built & configured, critical data is transferred to the new systems and peripheral functionality is tested and verified through our proven methodology & expert knowledge. Find out how our dedicated team can help your business today. Call the Northamber Total Services team today on 020 8296 7066.